* Wild About Porridge *: Savoury Oatmeal - the Breakfast of Champions! This article opens up whole new horizons for how to think about oatmeal, showing 12 recipes for savoury oats, including coupling it with egg, asian spices, kale, avocado and bacon. Barley and rice have always been something that kind of bridges the gap between porridge and other food, but I have never really seen oats as that versatile. Follow this link to read the full article. 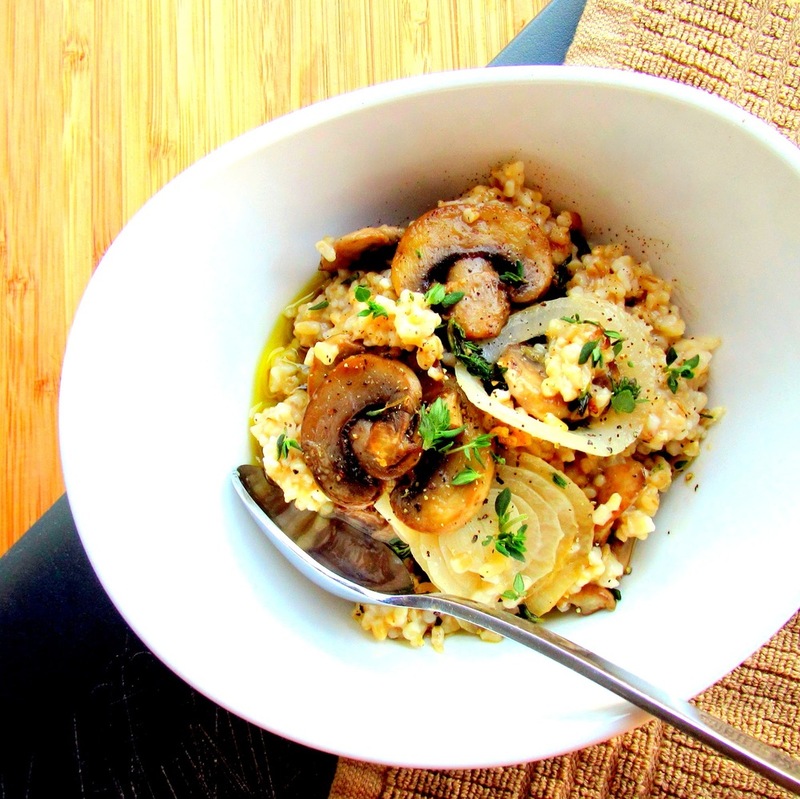 The picture is from the recipe for Sauteed Mushroom, Onion and Thyme Oatmeal by food blogger David on "A Bachelor and his grill"